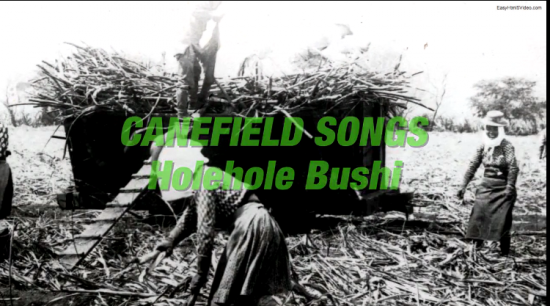 A screening of the documentary “Canefield Songs: Holehole Bushi” will be held at the Japanese American National Museum, 100 N. Central Ave. in Little Tokyo, on Saturday, July 18, at 6 p.m. The Japanese immigrants who worked on Hawaii’s sugar plantations in the late 19th and early 20th centuries sang as they worked, creating a Japanese American equivalent of “the blues.” Called holehole (Hawaiian for dried cane leaves) bushi (Japanese for melody or tune), the songs are a record of the workers’ joys, sorrows, and challenges, providing a fascinating window onto early plantation life. In the 1960s, Honolulu music teacher Harry Urata, whose own experiences in World War II concentration camps taught him the value of preserving immigrant culture, recorded hundreds of these songs, sung by the women who had created them 60 years before. Several years later, documentary producers Chris Conybeare, Franklin Odo, and Joy Chong-Stannard captured the last of the women pioneers on videotape, telling their stories and sharing their songs. This material is brought together in a stunning new PBS Hawaii documentary video narrated by ukulele virtuoso Jake Shimabukuro. Screening will be followed by a panel discussion with the producers. This program is free, but RSVPs are recommended. For more information, visit www.janm.org.